This week breaks the tradition a little bit. Despite its high Rotten Tomatoes rating and its Best Picture win, this film is still something of a cult film instead of a ubiquitous part of pop culture. It’s faced a fair amount of backlash but is still one of the best films of the last ten years. 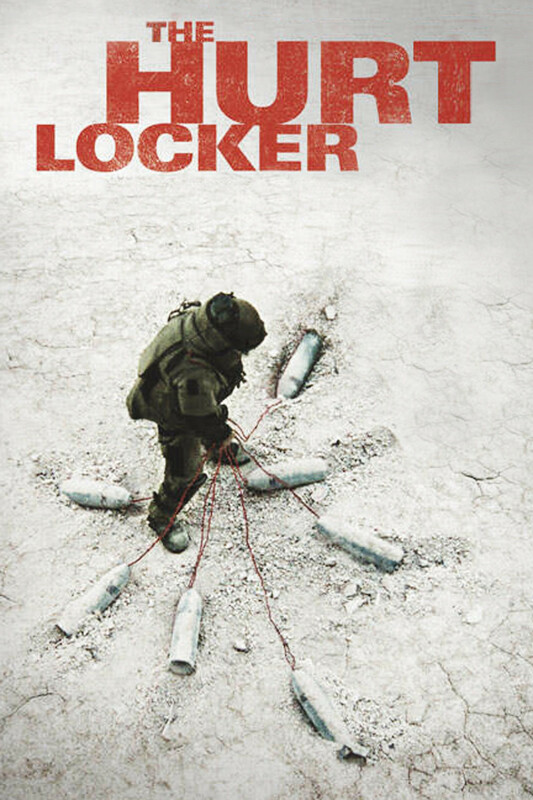 Despite being a Best Picture winner and one of the more celebrated films of the millennium’s first decade, I’m actually willing to bet a fair amount of potential readers have not actually seen The Hurt Locker. It’s infamous for making very little money and only getting attention when it became a leading Oscar contender. Which certainly got it some hate from the crowd rooting for Avatar to win Best Picture. Yeah, remember liking that movie? But yeah, it’s also a really good movie, a wartime thriller and character piece that is one of the more tense movies in recent memories. It’s also deceptively simple, with only one major plot twist, instead counting on the drama of its lead character being in the situation he’s in to carry the film. And in my opinion, it works. That said, this review will contain some spoilers, so be ready for that if you haven’t seen the film. 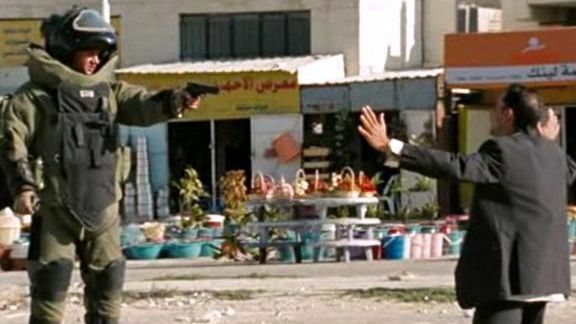 Right from the get go, The Hurt Locker sets its stakes higher than most movies, pulling a bait and switch that really was mind blowing at the time. The film tricks us into believing that Guy Pearce will be the lead of the movie before promptly killing him off when he is trying to defuse a bomb. The scene creates a real sense of tension; star power does not matter and anyone can die at any time. It will probably have less effect now since Jeremy Renner and Anthony Mackie are pretty well known actors, but at the time they were very new. The idea of them carrying a film with Guy Pearce was startling to say the least. Once Jeremy Renner’s Sergeant First Class William James arrives to fill the gap in Bravo Squadron, the film’s plot mainly centers around James trying to meticulously deactivate bombs in increasingly high stakes and disturbing situations. The danger of the situation creates plenty of tension, but it’s ramped up exponentially because William James is an adrenaline junkie who likes to be on the fine line between life and death. He makes rash decisions, drives his partners insane by not listening, and mostly is able to stick around because he’s so damn good at his job that nobody can argue with his results. Aside from the white-knuckle dread, the main reason to watch this film is because of Jeremy Renner’s performance. 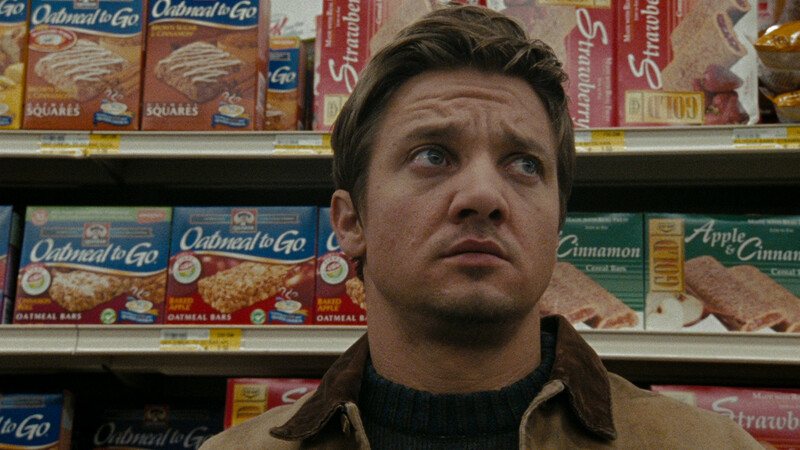 Renner is a great screen presence in anything he’s in, buy this is his finest hour as an actor. William James is the last kind of person you want to work with, but as the film goes along we see there is more to him than a death wish. Is he a psychopath that’s only real comfortable in a war zone? Yes, but it’s clear that he doesn’t enjoy risking any lives but himself; he comes to care for his teammates and he is deeply affected when he can’t fix a situation. In many ways, he’s a collection of hypermasculine traits made flesh that ultimately just barely cover how fragile life really is. He’s a fascinating character and Renner owns the part. The film also deserves credit for its visual presentation. It does a remarkably good job of making geography and props visually clear to the audience so we always know what is going on. This is a mark of strong directing and editing. The cinematography is also smart, measured use of handheld cameras, giving us a sense of being there in person without sacrificing visual cohesion. It’s not hard to see why the film attracted critics or why Kathryn Bigelow was awarded for her directing. Which, politics of the Academy aside, she absolutely deserved. You don’t have to look very long to find comments or reviews by active or ex-military who despise The Hurt Locker for its many inaccuracies. A common complaint is that William James breaks protocol at almost every turn with no real consequences. 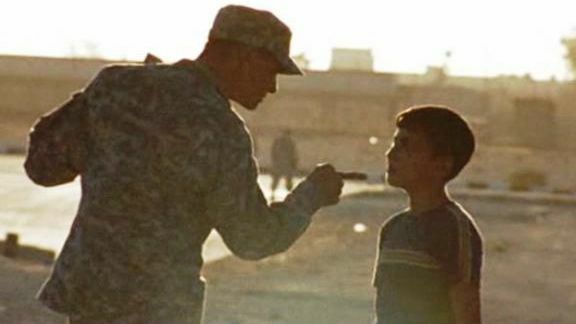 In doing so, the film promotes the idea that the U.S. Army is made up of hot-headed psychopathic adrenaline junkies, when in reality soldiers need to be cool under pressure, disciplined, and able to work with their team and follow orders. Obviously these brave men and women have more authority than me on the film’s authenticity or realism. I feel it’s important for us as viewers to remind ourselves that war films are still fiction, even ones based on specific real events (which The Hurt Locker is not). It’s not meant to be an accurate depiction of our modern wars or a recruitment vehicle for ill-tempered wannabe soldiers. Viewing it as fictional entertainment and not reality is essential. 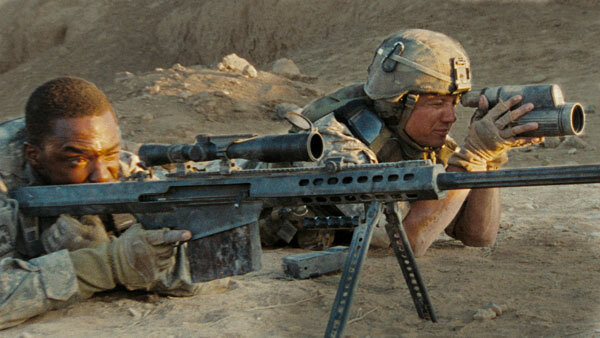 While I can’t begrudge anybody who dislikes The Hurt Locker for how it portrays our brave fighting men and women, I still consider it to be a great film on its own merit. From what I can tell, Kathryn Bigelow’s goal was to create a fascinating character piece and a white-knuckle thriller. 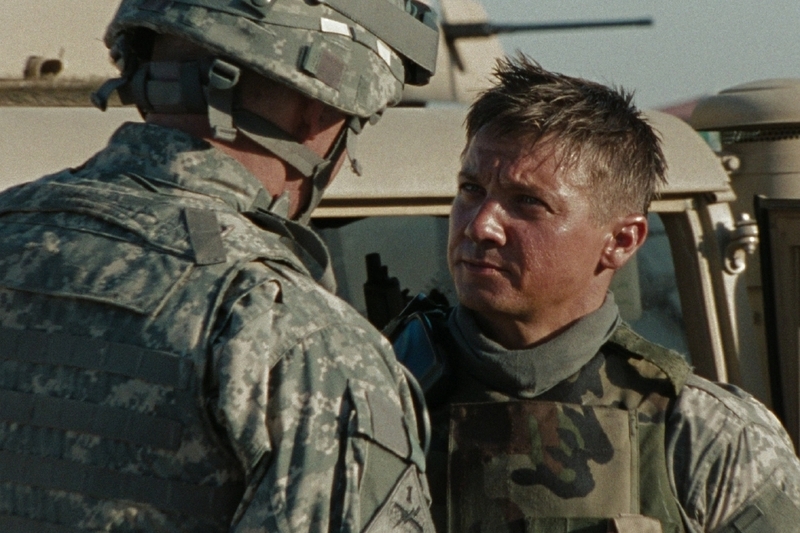 The Hurt Locker is both of those in spades, and has the benefit of solid to great performances all-around, including a career maker for Jeremy Renner. If you haven’t seen the movie or it’s been a long time, it’s probably worth revisiting. I log reviews for every film I see, when I see them. You can see my main page here. Recent reviews include Atomic Blonde, Old Yeller and Heat.